Faced with another 5 percent increase in healthcare benefit costs, a growing number of large U.S. employers plan to focus more on how healthcare is delivered and paid for while still pursuing traditional methods of controlling expenses, such as cost-sharing and plan design changes, according to an annual survey by the National Business Group on Health. As a result, more employees will have access to broader healthcare services including telemedicine, centers of excellence and onsite health centers during open enrollment while not experiencing major increases in their costs, the business group said. The Large Employers’ 2018 Health Care Strategy and Plan Design Survey found virtually all employers (96 percent) will make telehealth services available in states where it is allowed next year. More than half (56 percent) plan to offer telehealth for behavioral health services, more than double the percentage this year. Telehealth utilization is on the rise, with nearly 20 percent of employers experiencing employee utilization rates of 8 percent or higher. Employers are looking for ways to reduce healthcare costs while offering services and benefits their employees value, said Ralph C. Derrickson, CEO of Carena, a white-label telemedicine technology and services vendor. “Carena has several health system partners who have established valuable partnerships with employers in their community by offering a competitive benefits package with virtual care,” Derrickson said health systems are increasingly partnering with vendors like Carena to offer competitive benefits packages that include virtual consults. Telemedicine can help lower costs associated with non-emergent emergency department utilization and reduce fragmentation by preserving and building on existing primary care relationships or establishing new ones, he added. 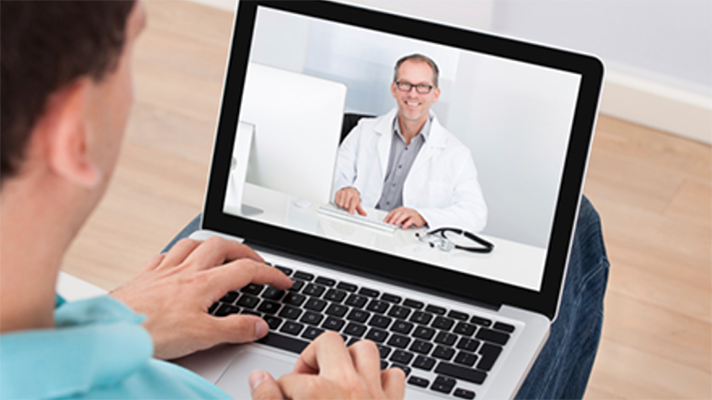 There are two prevailing factors that drive employers so widely into telehealth, said Roy Schoenberg, MD, CEO and co-founder of American Well, a white-label telemedicine technology and services company. The second reason is the growing appeal of telehealth as an employee perk, he said. At a time when health benefits are primarily cut, or their cost is shifted to the employee, adding modern and convenient healthcare benefits for employees can be a win for human resources leadership. That said, while the Large Employers’ 2018 Health Care Strategy and Plan Design Survey found that 96 percent will make telehealth services available in states where it is allowed next year, employee utilization of telemedicine services today is only at 8 percent at only 20 percent of large employers. So what will it take to get many more employees to start turning to lower-cost, more efficient telehealth services? Healthcare tends to be more sensitive to quality and trust concerns than, for example, the retail business. What that means is that adoption of the new ways of getting care potentially could be much faster when they come to patients under the traditional brands they trust today with in-person care. Schoenberg believes employer telehealth branded by providers will be the way to catch more employees.